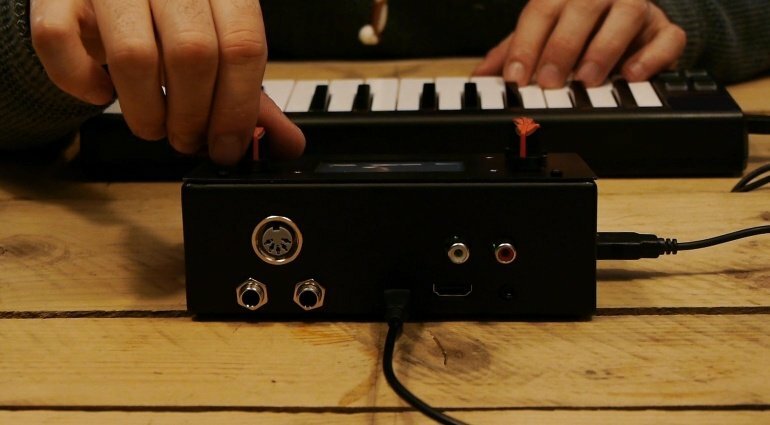 Zynthian is an open platform for sound synthesis, based on the Raspberry Pi. We talked to Fernando Dominguez, founder of Zynthian about its features and future plans. Zynthian is a project with the goal of creating an Open Synth Platform based in Free Software and Open Hardware Specifications and Designs (as open as possible). The project started as a personal project in 2015, but currently is a community-driven project, with active members around the world. A Zynthian Box is a hardware device, a small digital computer designed to run the Zynthian Software. 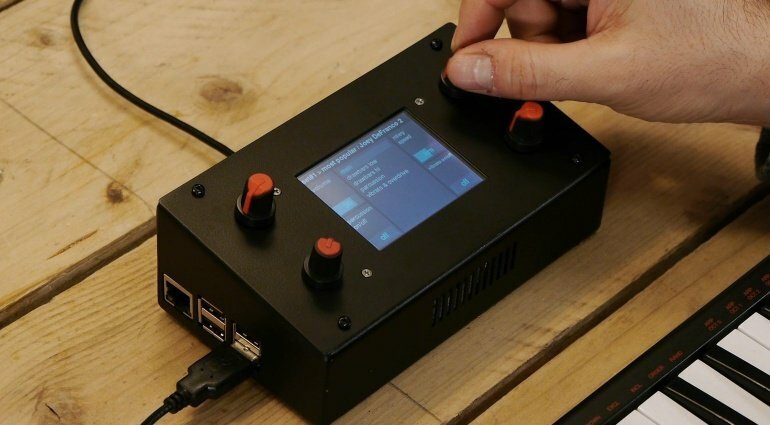 Currently it’s based in the Raspberry Pi platform, but it could be easily adapted to other computer platforms. All the software used by Zynthian is Free Software (free as in freedom, not as in free beer) and it’s covered by the GPL license or similar. 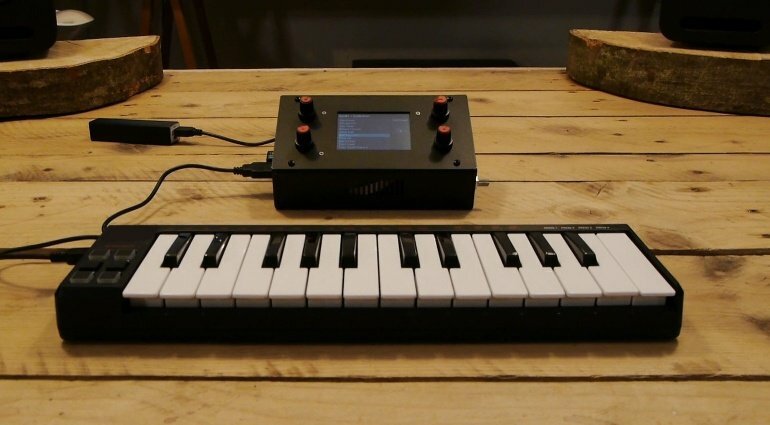 Currently, a Zynthian Box can be used to play live music with a MIDI instrument (keyboard, guitar, …), also can be used as effects processor (real-time audio processing), for music production (live or studio) or sound exploration. Anybody can build his own Zynthian Box using an official kit and following the tutorials from the wiki, or from scratch, using the schemes and specifications published in github. The forum is quite active and the better way of getting involved in the community. How did you get the idea to create Zynthian? I had the idea of developing Zynthian while trying to connect my digital piano with a commercial Hammond emulator module called Ferrofish. the task, writing a little script that auto-connected the devices. Raspberry Pi? My favorite free software synthesizer, ZynAddSubFX, was my first candidate. My first tries were really frustrating, as the RBPi’s analog audio output is very bad. The sound quality is terrible and the latency huge. the Zynthian Project had been born! Zynthian can be connected directly to standard MIDI sources and also to “MIDI-USB-only” keyboards and controllers. You don’t need a computer! Tablets and mobile devices can control Zynthian using OSC and a wireless connection. The MOD-UI web interface, from MOD-Devices (http://moddevices.com), can be used for creating complex patches using LV2 plugins. Zynthian can be updated easily from the user interface. digital format, without conversion loss. When using a soundcard with audio input, Zynthian can be used as a real-time effects processor, and also have an “Audio-to-MIDI” experimental feature. Of course, you can potentially use any open source synth-engine and also any LV2 plugin compiled for Raspberry Pi. Which people usually work with your platform? Currently the Zynthian community is mainly composed of a mixture of technical people (hackers & makers) with musical interests and musicians and music producers with some technical skills. I would like that more “pure” musicians (no technical skills!) start using Zynthian, so we are working hard for improving the user experience and easing the mounting process as much as possible, improving and simplifying the official mounting kits. If we success (and will do! ), we will produce finished units, perhaps through a crowd-funding campaign. We haven’t the details yet, as we have a lot of work to do before taking this step. Finally, i would like to integrate sequencer capabilities and turn Zynthian into a “micro-DAW” station that can be used for live performing and studio production. Something similar to the amazing new AKAI MPC machines, but completely free (as in freedom! ).